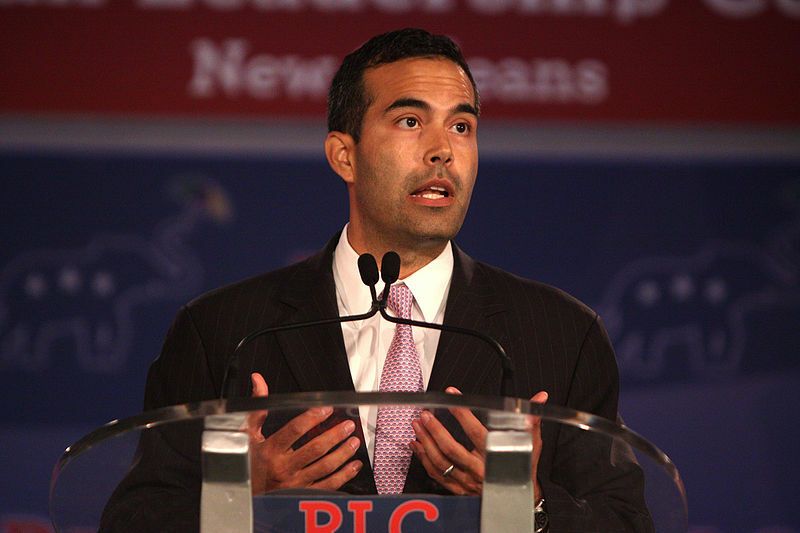 George P. Bush (little Georgy P) is all about family values until the people his family values conflicts with his politics. Little Georgy P stood before a crowd on Saturday and told them that he’s going to vote for the man, Donald Trump (the Donald), who talked about his daddy and mama, Jeb and Columba Bush, worse than folks talked about the child of God. Last year, the Donald retweeted an offensive comment about Jeb and Columba Bush. However, Columba Bush is not an illegal immigrant. She, like Donald Trump’s wife Melania Trump, became a U.S. citizen after marrying a U.S. citizen. The Donald, though, doesn’t recognize this fact. All he sees is a Mexican. And to the Donald, the word Mexican is bad in and of its self. Little Georgy P, however, isn’t bothered by the Donald’s hate towards Mexicans. Although Little Georgy P is cool with swallowing this “bitter pill” in order to “stop Hillary Clinton,” the rest of the Bush clan is not. The rest of the Bush clan decided that Trump’s disrespect of the people their family value was too much to bear and therefore refuse to support the Donald as the Republican presidential nominee.